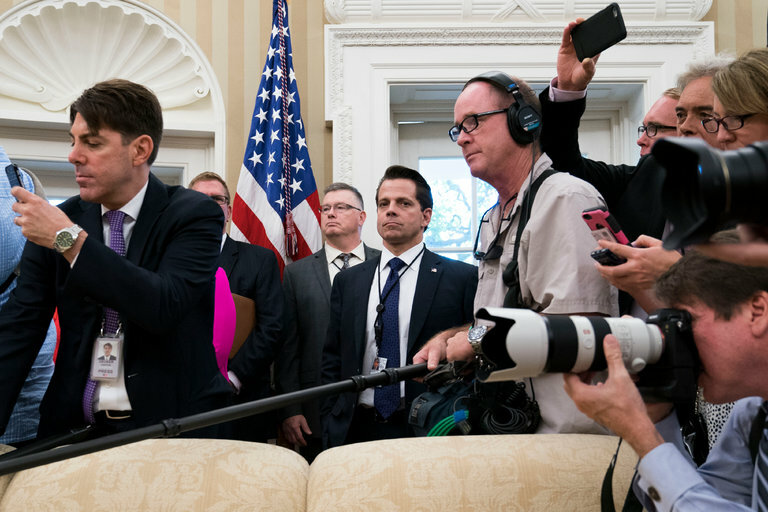 Anthony Scaramucci, center, with the news media in the Oval Office on Monday. WASHINGTON — President Trump has decided to remove Anthony Scaramucci from his position as communications director, three people close to the decision said Monday, relieving him just days after Mr. Scaramucci unloaded a crude verbal tirade against other senior members of the president’s senior staff. The decision to remove Mr. Scaramucci, who had boasted about reporting directly to the president, not the chief of staff, John F. Kelly, came at Mr. Kelly’s request, the people said. Mr. Kelly made clear to members of the White House staff at a meeting Monday morning that he is in charge.